Whip up a bathtime treat with this set of sweet bath squirters! These adorable cupcake bath toys squirt water and float, and feature four delectable "frosting" colors - Vanilla, Strawberry, Chocolate, and Cream. Designed for little sweeties to grasp and squeeze easily in the bath, they're also fun for older kids who love playing pastry chef in their pretend kitchens. 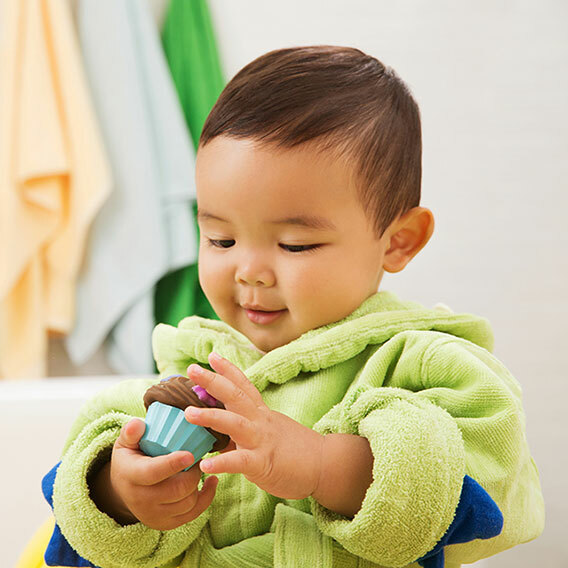 No matter what the age, these squirting cupcakes are a perfect ingredient for bathtime and playtime fun.